I got to know Austrian singer Wilfried pretty early on, because of a holiday in Austria in 1980. 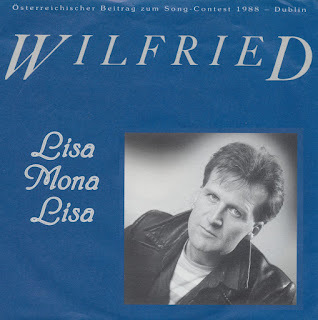 The sleeve of his album hung prominently in a shop window in the centre of Vienna, and since my brother was also named Wilfried at the time, 9-year-old me suddenly had this vision of a pop star sibling. It wasn't to be. In 1988 Wilfried appeared in my life once again, this time representing Austria at the Eurovision Song Contest with the song 'Lisa Mona Lisa'. He ended up in last place with zero points. None of the other countries wanted to award points to a country that had recently elected Kurt Waldheim - a man with a shady past during World War II - as its president. Although one could argue that Wilfried's voice problems could also have been cause of this bad result.